Nike, Inc. is a clothing, footwear, sportswear, and equipment supplier based in the United States. It is the world's leading supplier of athletic shoes and apparel. Its is headquartered near Beaverton, Oregon. It has 44,000 employees worldwide. Nike and Precision Castparts are the only Fortune 500 companies headquartered in the state of Oregon. It was founded as Blue Ribbon Sports by Bill Bowerman and Phil Knight on January 25, 1964. Phil Knight is a track runner while Bill Bowerman is his coach. It officially became Nike, Inc. on May 30, 1978. Nike is actually the Greek goddess of victory. The company initially operated as a distributor for Japanese shoe maker Onitsuka Tiger which now became ASICS. 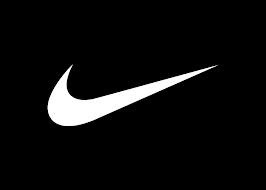 The "Swoosh" logo was a design created in 1971 by Carolyn Davidson, a graphic design student at Portland State University. Its Swoosh logo and the "Just do it" are amongst the worlds greatest trademarks. She met Phil Knight while he was teaching accounting classes and she started doing some freelance work for his company, Blue Ribbon Sports (BRS). In June 1972, the first running shoes bearing the "Swoosh" were introduced at the U.S. Track and Field Olympic Trials in Eugene, Oregon. Originally, the mark was simply referred to as "the stripe." In 1975, Nike print ad with the tag "There is no finish line" was introduced. In 1978, Tennis 'bad boy' John McEnroe is signed by Nike to an endorsement contract. By 1980, Nike had attained a 50% market share in the U.S. athletic shoe market, and the company went public in December of that year. In 1982, the Air Force 1 basketball shoe becomes the first Nike court shoe to make use of the Air technology. Nike entered the golf game in 1986, just a year after introducing the Air Jordan basketball sneaker. Nike produces around 50,000 product styles a year and sells in 160 countries. The company has 28,000 employees! Nike’s operations contribute to 1.36 million tonnes of CO2 each year. It owns four key subsidiaries: Cole Haan, Hurley International, Converse Inc. and Umbro. Tiger Woods, Stewart Cink, Lucas Glover, Michelle Wie, Trevor Immelman, Rafael Nadal and Paul Casey amongst others are sponsored by Nike. With 38% in global sports footwear market, it is the most successful sports footwear manufacturer in the world!